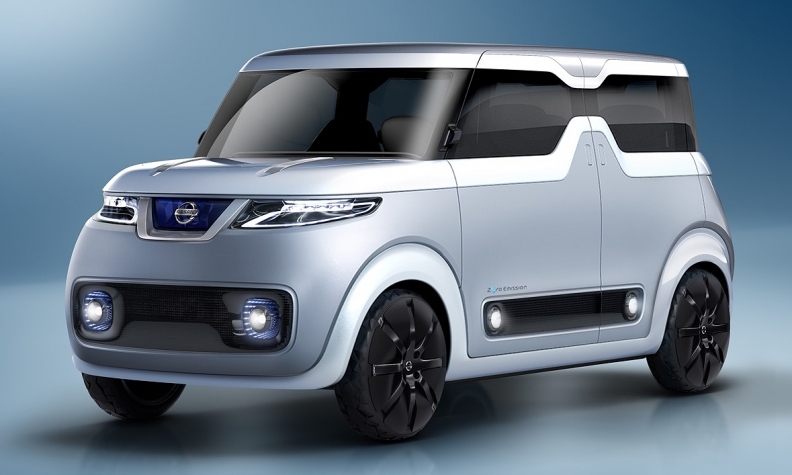 Nissan's Teatro for Dayz concept car anticipates the advent of a “share native” generation of social media junkies who will be getting their drivers' licenses after 2020. 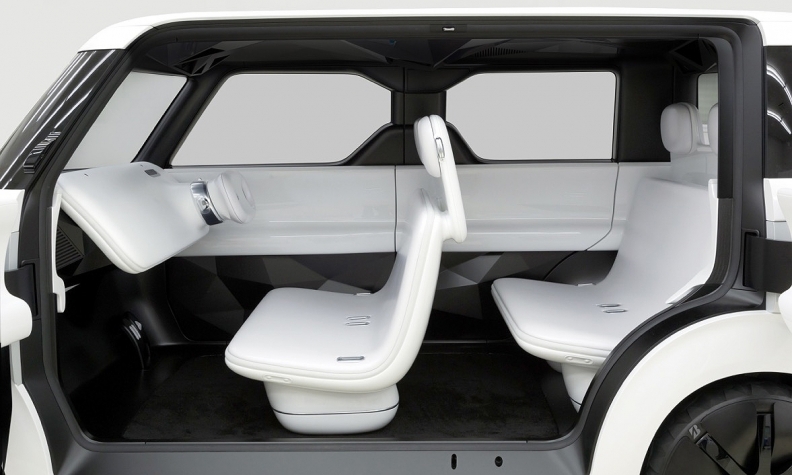 YOKOHAMA, Japan -- Nissan Motor Co. shares its vision for ultraconnected digital-era driving at this month’s Tokyo Motor Show with a concept minicar in which nearly every conceivable cabin surface is laminated with touch screen displays. Dubbed the Teatro for Dayz, the concept car anticipates the advent of a “share native” generation of social media junkies who will be getting their drivers’ licenses after 2020. To keep them engaged, designers have turned the car’s interior into a “clean canvas” of iPad-like screens that are a soothing white, until the occupants start logging into Facebook, Twitter, Instagram, YouTube, Tumblr, Vine, Pintrest, Skype, LinkedIn and whatever other social networking sites happen to be all the craze when they are finally old enough to drive. Teatro comes from the Italian word for theater. And its social media stage is never far from reach. The screens cover the instrument panel, door trim and even the seats. Nissan minimized clumsy knobs and switches. Those would just get in the way of playing video games and swapping selfies. “It is an out-of-the-box concept that defies convention and rejects restrictions,” Nissan said. Indeed, the Teatro for Dayz is a kind of anti-car for a generation not keen on driving. It’s a conundrum increasingly faced by automakers in mature markets, where young people no longer spend hours in the garage tuning the engines of their beloved first cars but in the recesses of the family den tapping on their phones and swiping touch screens. Inside the Teatro for Dayz: A kind of anti-car for a generation not keen on driving. Nissan dubs these prospective buyers “share natives,” a nod to a whole generation that has grown up digitally connected and sharing likes, photos and Tweets, 24-7. For them, driving simply means less time interacting with friends. In Japan, young people’s fading interest in cars is such an alarming trend that the Japanese even have a name for it: kurumabanare, or car separation. Automakers are rethinking packaging to lure them back. “For example, through design we typically try to convey a sense of acceleration, power, or supreme quality,” Nissan Executive Design Director Satoshi Tai said. That is one reason designers based the concept on the Nissan Dayz, a boxy 0.66-liter, three-cylinder minicar for the Japan market that was jointly developed with Mitsubishi Motors Corp. Such hot-selling minicars account for about 40 percent of Japan’s domestic market. The concept gets an all-electric drivetrain and substantial external restyling. Designers dropped “the usual components that express aggressiveness, speed, size, elegance, and other traits you would expect to see on a car,” Nissan said. Instead, the gleaming white exterior aims to emulate the handheld gadgets that are the totems of today’s youth. Nissan's Concept 2020 Vision Gran Turismo. Even so, the Teatro for Dayz underscores the challenges involved. 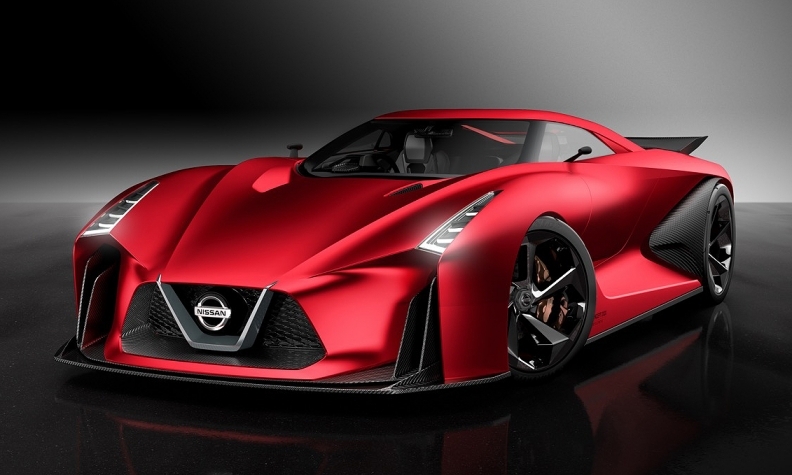 Nissan said the technology just isn’t there yet to equip a concept with swaths of real touch screens. Instead, the show car deploys projectors to shine pictures onto its white seats and interior panels. “For the display, unfortunately, we didn’t have the technology available,” said Tatsuya Shiosaki, a senior staff member of Nissan’s exploratory and advanced product department. Also in Tokyo, Nissan will display the Gripz Concept hybrid sports crossover unveiled at the Frankfurt auto show in September and the Nissan Concept 2020 Vision Gran Turismo. The 2020 Vision Gran Turismo is a real world mockup of the virtual car Nissan is offering as an option in the PlayStation video game Gran Turismo. The low-riding, chiseled car debuted at England’s Goodwood Festival of Speed in 2014. Its schematic four-wheel-drive powertrain mates a V-6 twin-turbo engine to three electric motors.